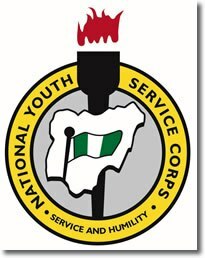 National Youth Service Corps Management board have made an important announcement, making adjustment to documents which is to be presented before entering various orientation camps across Nigeria. For those who are not yet aware, the NYSC Time-table for 2016 Batch B Stream II has been released. The scheme which was disclosed to the NANS on Monday,said that camp will commence on Tuesday, the 24th of January, 2017 and all prospective corps members, are required to present medical certificate on their health status. It is a MUST Required Document. The major reason why the NYSC management board is ensuring that all prospective corps members, come up with medical certificate, is because of the recent news that shook Nigeria, When Nysc lost three prospective corps members in 2016 during orientation camps across the country. All prospective corps members are to note that original copies of academic credentials and other documents, which are uploaded during the online registration MUST be presented on camp for physical verification. All Prospective Corps members MUST ensure that they present medical certificate from a government or military hospital, which shows their health status before they will be registered and admitted for the Orientation course.